Frozen Assets raises more than $1,000,000 net since 2012! 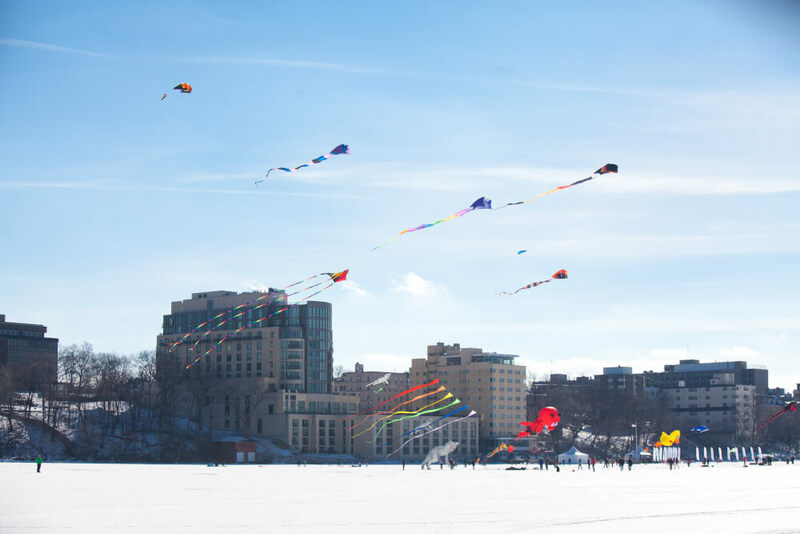 With more than 6,000 visitors joining us at The Edgewater and on Lake Mendota, Frozen Assets raised more than $127,000 net for our lakes this year. THANK YOU to all of our sponsors, guests, volunteers, and event partners who made the festival and fundraiser a huge success! Thank you to our presenting sponsor Lands’ End and to our platinum sponsor The Edgewater. Lands’ End provides critical funding and apparel to keep our staff and volunteers warm. The Edgewater and its staff were incredible hosts of the festival and fundraiser for the FIFTH year in a row! Funds raised will be used to purchase easements for three miles of buffer strips, which help capture nutrient-rich runoff from farm fields before it enters our lakes. See some of the other projects we’ve been up to since our founding in 2010. Keep reading for a recap of the event and respond to our survey below to give us feedback about how we can make next year even better!